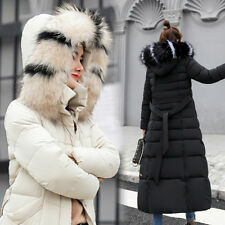 A GREAT QUALITY REAL FEATHER DOWN PADDED LONG COAT VERY WARM. 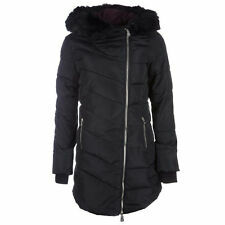 Ladies Diesel Long Paded Down Coat. Zip fastening and chest pockets. Length down centre of back from base of collar 37". Underarm to hem 27". Underarm to underarm 19". FRIEDA AND FREDDIE’s Long Goose Down Graphite Quilted Coat 16. Condition is New with tags. Dispatched with Royal Mail 2nd Class. SEE PICTURE 6 THAT SHOWS A SLIGHT SPLIT IN THE LINING, EASILY SEWN. LENGTH 34". NEVER WORN. 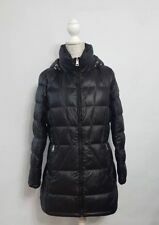 DKNY Women's Winter Sherry Down Puffer Parka Hooded Coat Jacket Size PL- Large would fit 10/12. inside pocket with headphones fleece inside pockets rrp £110 Condition is Used. Worn a handful of times excellent new condition Dispatched with Royal Mail 2nd Class. Beautiful coat in lighter weight down quilted style. Nine West Silver Down Coat. Very versatile, gorgeous coat. Wear with collar up or down. Hardly worn and in excellent condition. Made in nylon with 50% down / 50% feather padding. 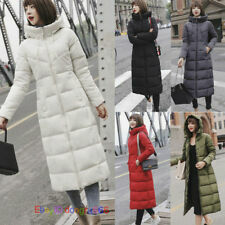 A lovely warm padded coat fromSpice, size uk 10. The hood can be zipped on or off.